When expanding our cherished family of professionals, our goal is to grow your practice while encouraging your creative individuality and highlighting your unique skills. We ensure that through the following steps of our process. MEET. We’ll first sit down together in person to gain a comprehensive understanding of your vision and unique business goals. We’ll talk purpose, past failures, future aspirations – the sky is the limit in this session. We want to learn as much about you as you’d like to share. We pay special close attention to your exclusive traits as an individual and what sets you apart from the competition. STRATEGIZE. We’ll then develop a marketing strategy specifically tailored to your goals, always working to highlight what makes you unique. It’s important for us to ensure our strategy doesn’t limit your creative potential – we want you to shine to your maximum potential and we’ll do everything in our power to support that. CONTINUAL SUPPORT. Our financial professionals are our family, and family is for life! We seek to continually work together over time to evaluate your strategies and help update your plan as needed to match your evolving business. For financial professionals it oftentimes feels like your dreams get squashed while getting your business off the ground. It’s unfortunate that in many cases, running a business ends up crushing your creative spirit as you slowly turn into a “distribution person” or simply a commodity to your firm. 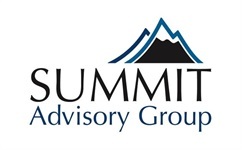 At Summit Advisory Group, we not only recognize you as a creative individual, we believe in your unique spirit and want to highlight this in your business as much as possible. When we devote our true nature to our work, we have no choice but to do passionate work. Being passionate about your practice will keep you driven, thriving and successful for the long term. This is why we foster a “Yes, you can” attitude and provide positive encouragement when you come to us with your specific ideas and goals. Just as we recognize clients as unique individuals, we do the same for our advisors, and we’ll never give a “cookie cutter” approach to growing your business. Ready to get those creative juices going and invent the best version of your business? Call us today at (704) 554-6404 or email [email protected].